When you are having a problem with your garage door, its normal to be concerned that your garage door repair is going to break the bank. That’s not always the case. Garage door repairs sometimes are simple fix! Here are a few easy ways to estimate the cost of garage door repair. While it sounds really simple, going through and testing parts of the garage door to see the issue could help you figure out the size of the problem. Is your door not opening or closing correctly? Then you could check the tracks, rollers, or the garage door opener. Look at your garage door itself. If the garage door is rusted, dented, or has significant damage to the door or door opener, you may need a replacement rather than a repair. This will cost more but save you on multiple repairs. It is important that you do not try to disassemble your garage door or garage door opener on your own. There are many springs and parts that are kept in place by immense pressure. These parts could suddenly pop out and cause injury. Make sure you call a professional to evaluate the situation before diving in to fixing it yourself. When you have a repair, its important to call an experienced garage door technician who you trust. 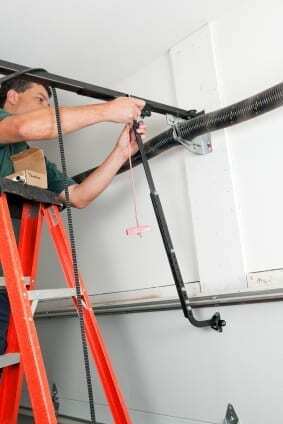 They will be able to look at the problem and give you a fair estimate on the cost of the repair. Don’t wait until the problem gets worse, as it could get more expensive as time goes on. The best way to prevent costly repairs is to give you garage door routine maintenance and inspections to catch small repairs before they become big problems. If your garage door is in need of repair or replacement, contact Action Garage Door at (877) 392-2590.